I t’s here! Spring is here! On Monday, did you run outside and beat on the ground with a stick to tell the earth to wake up? And some daffodils were blooming on Monday. Did you pick one and eat it? No? *Whew! * Good move! They’re not edible! Although someone at Ohioana did indeed eat one and nothing bad happened. It was planted on top of a mound of vanilla ice cream and hot fudge sauce (a Blooming Sundae — get it?) and she ate the bits you are supposed to eat as well. But you needn’t feel slighted — there are plenty of other flowers to add to salads, soups, or main dishes. 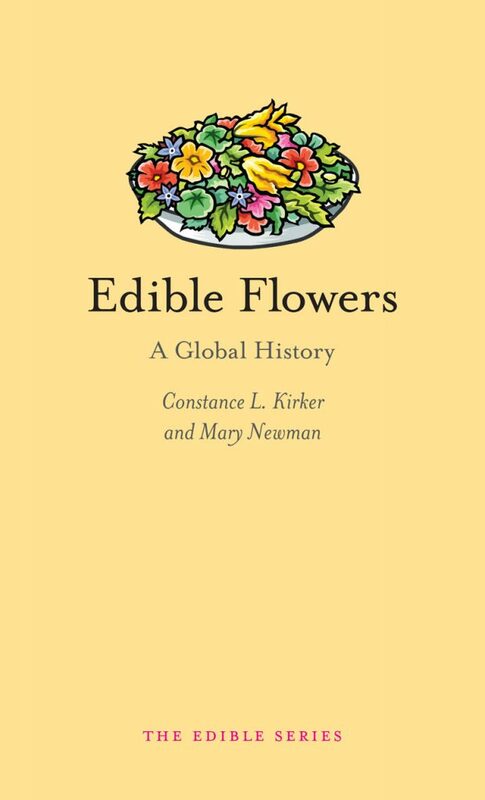 In Edible Flowers: A Global History by Constance L. Kirker and former Ohio University professor Mary Newman, you can easily learn what to eat and why (Mary will be at the Ohioana Book Festival on April 8, by the way). This nifty little book provides a history a edible plants from all over the world. It also provides a unique history of the world since plants found useful or delightful in one country are imported to other countries for propagation and use. The book also makes the reader re-think the concept of a “flower,” which most of us consider to be a beautiful, fragrant, but perhaps useless thing. After all, what is an artichoke but the flowering part of the plant. We eat them. And the preferred part of the broccoli in North America is the stuff at the top, although some people reject the buds for the stem. Authors Kirker and Newman always advice caution, reminding the reader that even plants considered medicinal can be bad for you if over-used. Even too much of a good thing will make you sick.